This cutting edge camera incorporates a high-quality lens and 4-megapixel detector in a discrete, ultra-compact design small enough to be inconspicuous on any ceiling yet provides complete situational awareness for entire rooms. SKS, the UK's leading key blank specialist, will be launching its new updated Key Catalogue "Edition 365". Also commonly known as the 'Key Cutters Bible', the new catalogue features 456 pages and nearly 5,000 key blanks. Pick up your free copy at the show! 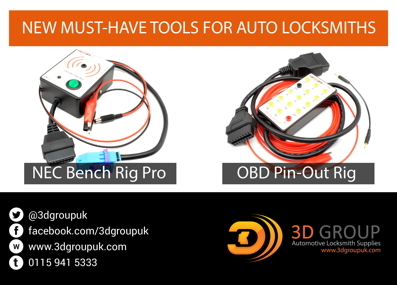 The company will be exhibiting the ABS (Avocet Break Secure) lock which is our TS007 (3-star), Sold Secure Diamond range; our Affinity window and door furniture security range, plus the marketing and sales support it offers, which covers everything from vehicle decals to video displays and high impact POS displays.